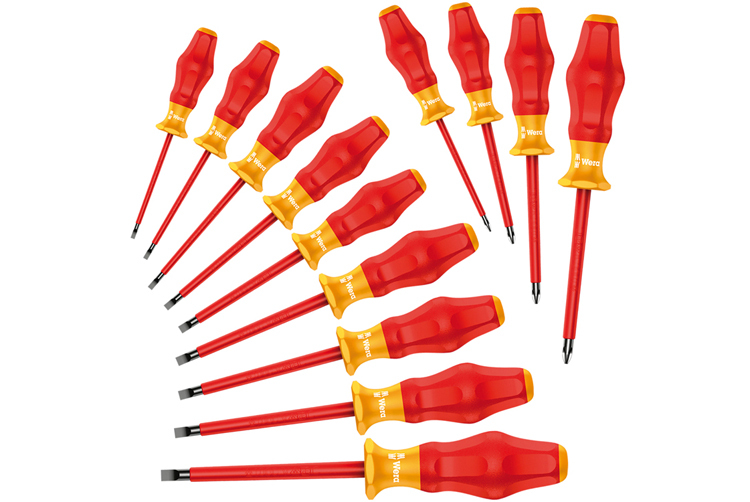 The Kraftform Comfort VDE series offers a wide and diverse range of screwdrivers for universal use. The multi-component Kraftform handle is great for quick and low-exertion working. The bit material used for manufacturing is subject to Wera hardening process, ensuring longer product service life. Wera's Black Point tips and a refined hardening process ensure long service life of the tip, improved corrosion protection and an exact fit. The Kraftform Comfort VDE series offers a wide and diverse range of screwdrivers for universal use, with the multi-component Kraftform handle for quick and low-exertion working.